Under the badge of "intelliTHERM®", WIKA launches a new mechatronic product family, starting with the TGT70 thermometer . It combines, in a single instrument, an electrical output signal with on-site display - without the need for an external power supply. 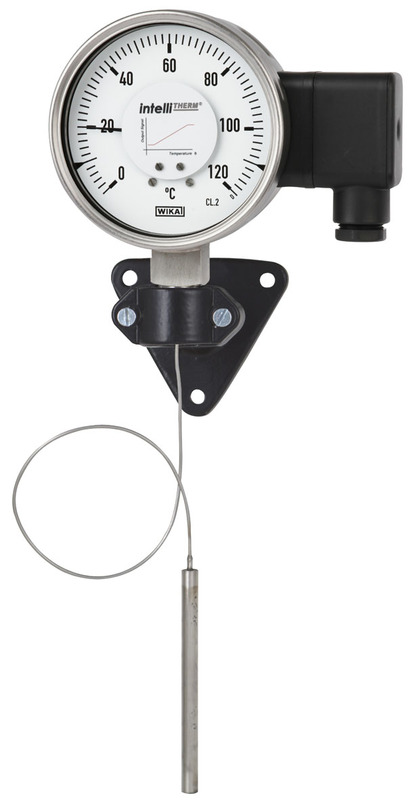 The TGT70 is an expansion thermometer for general industrial applications. It operates in the range -40 … 250 °C, while the selectable output signals are 0.5 ... 4.5 V and 4 ... 20 mA. With the new thermometer, temperature can be precisely controlled and adjusted, in the event of power loss the analogue display guarantees a correct measured value. 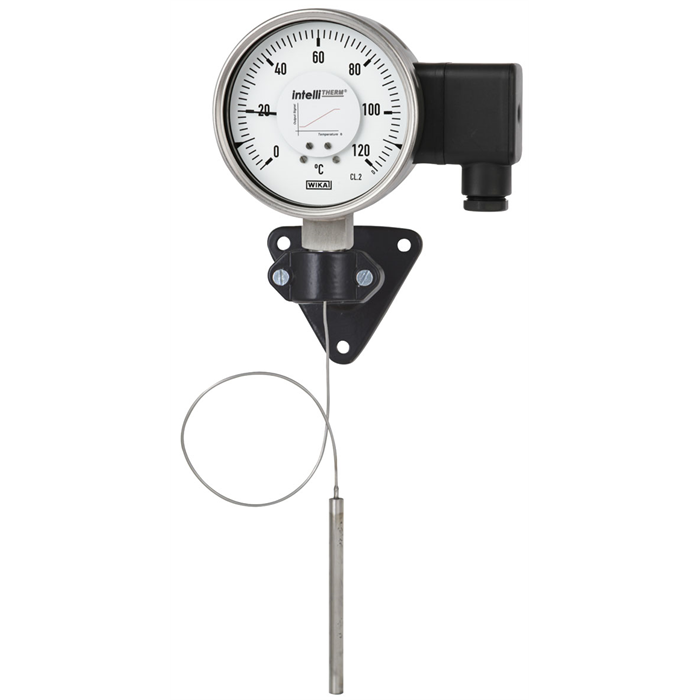 Since only one measuring point is required, this product also saves costs.